To say that music runs in the veins is to know the true meaning behind a 25 year career of Iranian born and Danish native Nima Gorji. Now calling Ibiza home, it is from here that he continues to demonstrate his technique and passion for his music, firmly holding his place amongst his peers and fans alike around the world. 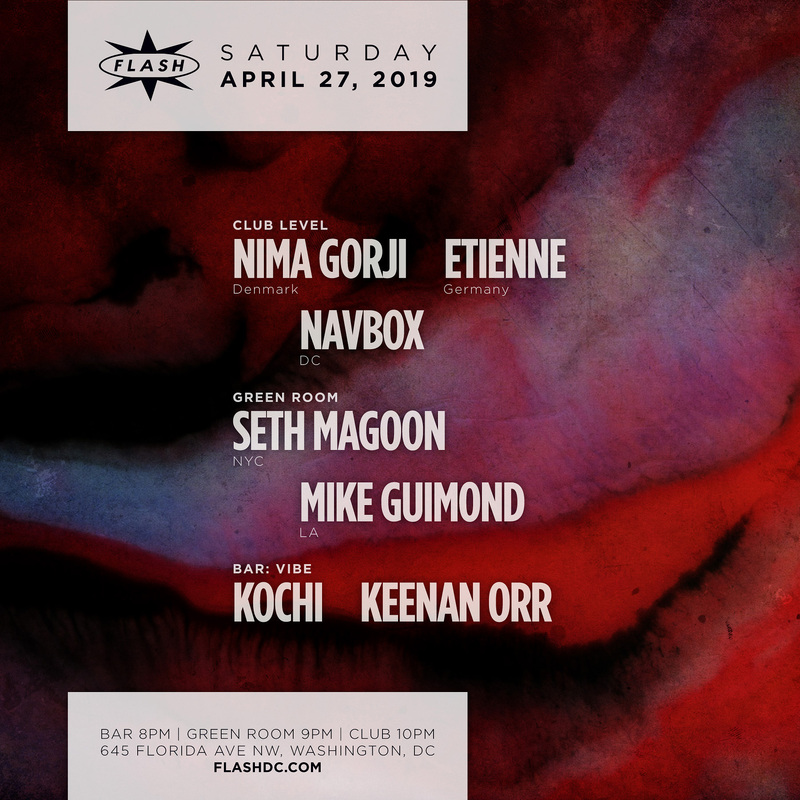 All stories must have a beginning, and for Nima it began after listening to artists such as Depeche Mode that the tone was set and the realization that this world was for him, a life of electronic music, machines, turntables and clubs. The 90’s in Copenhagen saw the arrival of the clubbing scene with house and techno music, a new sound taking shape in the city and in particular with Nima who was part of this building up of this scene. In 95 he began a residency at the Rust Club, now remembered as one of the most known underground clubs in Copenhagen, where he played alongside a number of international artists, including Kerri Chandler and Kevin Yost. It was also during these years that Nima was focused in the studio and working on his own productions, firstly releasing under the alias Black Powder before moving on and releasing under his own name. Such was his ambition and dedication to his own sound that in 99 he formed his own record label, Welt Recordings to help bring the worlds attention to his own productions. This success was soon realized when his track Determination was picked up for the Cocoon (Green & Blue) compilation mixed by Ricardo Villalobos and Loco Dice, and could be heard all over the island of Ibiza that same summer. In 2005 Nima made the decision to move away from his base in Denmark and make for a new one on the island of Ibiza in Spain, where he soon established himself in the local scene with residencies for What’s Up at the famous terrace at Space, for Ibiza Underground, Monza and now Next Wave. His music productions continued to gain grounds on labels such as Out Of Orbit, Love Letters From Oslo, Cecille, Murmur and Suburban Tracks. Currently Nima is building up his label Welt Recordings along with new label NG Trax and expanding an ever busy DJ scheduled with tours and gigs lined up around the globe. His music and passion behind the decks continue to stir the imagination and hearts of those who truly appreciate and understand what good music is; what runs in the veins runs true and very deep. Etienne has humbly made a name for himself in the scene, simply making the music speak. Originally from Paris, he then moved to Berlin to fully dedicate his life to his Art of choice. Etienne has been collecting and playing records for more than a decade, as well as crafting his skills in music production. His solid reputation as digger and producer has led him to have regular gigs at infamous parties and venues around Europe such as Art Of Dark, Closer, Concrete, Club der Visionaere, Fuse, Goa, Hoppetosse, Input Club, Rex Club, Robert Johnson, Tresor and also in Eastern European countries as well as North America. After several releases on the London based label Undersound or the parisian imprint Eklo, he launched his own label Sequalog alongside his long-time friend TC80 in 2017. Their 1rst released is sold out and was highly acclaimed, with Resident Advisor scoring it a 4/5. Originally from western Massachusetts, Seth Magoon found his passion for electronic music during his first year of college in New York City. Over the past three years, Seth has been tireless in familiarizing himself with the international electronic music scene, spending countless hours searching for unique new artists, labels, and sounds. Seth has also set out to build rapport within the industry working within both the recorded and live sides. In 2016 Seth could no longer resist the urge to buy vinyl and mix himself, so he took the plunge buying a pair of second hand Technics 1200’s and a simple 2 channel mixer and decided to dive down the rabbit hole. Since then he has dedicated himself towards honing the craft of mixing and aural beat-matching, a practice increasingly neglected in our digital age of quantization and effects modulation. He is an absolute vinyl junkie, and with his purist approach to mixing you can always count on Seth to string together eclectic sets of house, disco & techno fluidly. As the resident DJ of Leitkultur, a burgeoning New York City artist collective inspired by founder Mike Guimond, and his experiences living and DJing in Berlin. Leitkultur is rooted in fostering the fundamentals of proper club culture by breaking down the nonsensical commercial nightlife standards of New York City, and in turn, offering a safe space for all to dance and experience music most affectively. Seth’s infectious love and increasing knowledge for house, disco and techno has not gone unnoticed, as in the past three months he has increasingly played DIY rooftop parties, as well as at venues such as The 303 @ Louie & Chan, Bossa Nova Civic Club, The Roof at Output, Schimanski, & Analog BKNY opening for artists such as Kerri Chandler, K-Hand, Chloé, Parris Mitchell, Quentin Harris, Justin Strauss, Octo Octa, Juan MacLean, Jacques Renault, Urulu, Baltra, and Seb Wildblood.